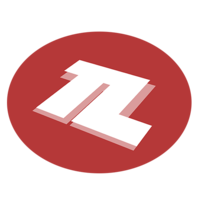 Tourney Locator (TLOC) is an eSports group based in Dallas, Texas created in 2013 that work with livestreaming, providing up-to-date information on latest tourneys near Texas, and producing their own tournament. Over the course of time the group has run over 300+ tournaments total in Smash 64, Melee, Brawl, Project M, and Super Smash Bros. 4. The group also recently began hosting weekly tourneys of "Pokkén Tournament" as part of their new line-ups and occasionally Rivals of Aether. In the past, the group had ran a monthly eSports talk show called "TLOC Talk" that talked about the gaming community. They also worked on speedrunning in smash as an event for charity in the past, no further detail has been provided as of now. In the past, they also used to post reviews of prior events via replays mainly, to summarize and highlight memorable scenes. Stated on their about page, since the culmination of their group, they dedicate to improving and expanding the eSports community by focusing on providing beneficial impact for the community. In the past they've worked with other regional tournaments such as Choose Your Character, Come and Take It, Absolute Battle 6, and Super Bit Wars 4 as well as other big smash tournaments such as SKTAR 3, The Big House 5, Paragon Los Angeles 2015, Apex 2014, Forte 3, Clutch City Clash and Super Smash Con 2016. In an effort to re-centralize the Project M community and provide a consistent home stream, on April 12, 2015, the Tourney Locator crew announced that they would be making a new channel for all of their PM events through a new stream, Project M Central, and will be in charge of streaming Paragon Los Angeles 2015, the Infinity and Beyond Weeklies, TLOC $1K monthlies and Bowser's Revenge monthlies. The goal of Tourney Locator was to create a vision to ensure that Project M has a home and that the community remains unified. Currently Project M Central is streamed only through hitbox.tv. Early on, Tourney Locator realized that there were serious hindrances in the ability for competitors to travel and compete in different regions. To encourage traveling and cross pollination of skills the "Challenger Approaching Program" was created. The primary intent is to empower skilled players across the world with the opportunity to be flown to our central location in Dallas, TX to compete against our local community. Looking for those that have a positive impact on their scene, we have had the pleasure of the following guests. Several of these guest include Wizzrobe for Melee, Frozen for Project M, ESAM for Project M, Smash Wii U and Melee, DEHF for both Smash Wii U and Melee, Axe and Lucky for both Melee and Project M. The program has been currently been discontinued as of 2015. Tourney Locator presents their $1k series showcasing a specific smash title ((Alternates between either Melee, Project M, or Super Smash Bros. 4)) for the month. Hosted at FX Game Exchange, the series will have a guaranteed prize structure that pays out to the top 8 entrants for singles and doubles. With 1 wave of Round Robin pools leading to a 32-entrant bracket. This series is usually created during a non-major or non-regional timing window as to not interfere with big smash tournaments and allow for the group to commentate, record, and stream those tournaments. The monthly is currently discontinued. FX Game Exchange, the premier venue for Super Smash Bros in the DFW presents its Arcadian tournament! An Arcadian is a tournament intended to highlight phenomenal players incapable of breaking the top 10 mold (for local region). The monthly currently has occurred between the winter/spring between January-April. Previously in Smash 64 CTG was ranked #3 and JV was ranked #6 in the DFW region. Previously in Super Smash Bros. 4 Denti was ranked #4 in the DFW region. Previously in Project M Oracle was ranked #5 in the DFW region. Tourney Locator members JV, Nebtune, and CTG also act as admin and manage the DFW Smash Bros. 64 Facebook page. Tourney Locator member Sethlon had acted as admin for DFW Melee Facebook page in the past. Tourney Locator member typo acts as an admin for the DFW Melee Facebook page. Tourney Locator member Infinity acts as admin and manages the DFW Brawl Facebook page. Tourney Locator members, Em, Nebtune, Oracle, Infinity, and Sethlon act as admin and manage the DFW Project M Facebook page. Tourney Locator members, JV, Nebtune, Denti, Oracle, Infinity, and Sethlon act as admin and manage the DFW Smash 4 Facebook page. This page was last edited on November 29, 2018, at 00:08.